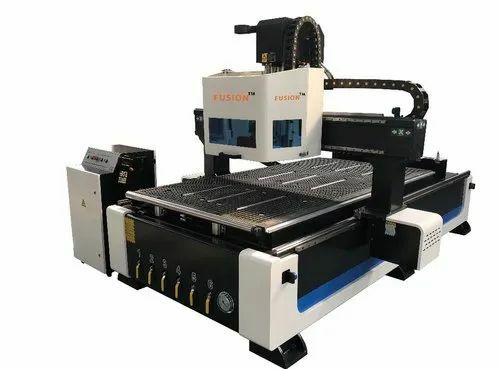 We, Fusion Technocraft, are a leading Exporter and Trader of a range of CNC Router Machine, Laser Cutting Machine, Engraving, Carving & Cutting Machine and much more. We are engaged in Exporter and Trading of a wide range of CNC Router Machine, Laser Cutting Machine, Engraving, Carving & Cutting Machine and much more. These high utility machines are widely used in many industrial sectors to carve wooden, metallic and other material. The range we offer is widely known for its optimal performance, low maintenance costs and precision designs.